There are all sorts of eye makeup removers on the market but the best one is Vaseline. Well, it's easy and it doesn't sting the eye. And it's cheap. 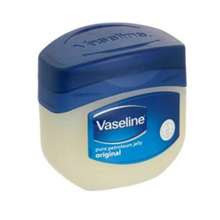 Vaseline is actually good for the skin around the eyes. The tender skin around my eyes doesn't seem better than average after years of Vaseline use.